What Are the Threats to Cloud Workload Security & How to Be Safe From Them? Making an assumption that IaaS vendors are completely responsible for customer workloads’ security, is wrong. Cloud workload security comes under the category of shared responsibility, which means that businesses have to enforce traditional and advance online data protection measures to secure the cloud-based workload. The term ‘cloud workload’ is a distinct ability or total amount of work, which an end user runs on cloud instances like a container, the web server, an hadoop node, etc. 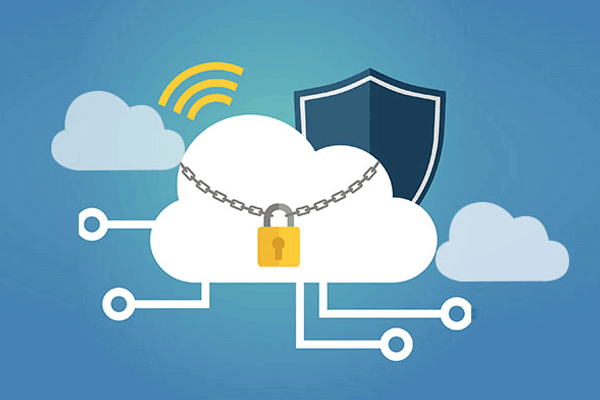 Talking about cloud workload security solutions then, they are the approaches through which one can protect online workloads. Today in this post, we are going to learn that what are threats to cloud workloads’ protection and how can online users keep themselves safe from these issues. How Does the Cloud Workload Security Works? An effective approach for cloud workload security provides deep visibility into the workloads, run by online users. It enables administrators to have control over the data access and sharing and then, identify problems associated with them. A perfect cloud workload security technique protect customers from threats, which are unable to detect from traditional solutions. Also, it is possible to integrate several events with one advance security approach for cloud workload. Ensure that it comprises of one single UI or a dashboard for managing different protective technologies to make entire life a lot easier. If possible, the cloud workload security should be consolidated with third-party Cyber security advance technologies to fight with trending internet attacks. Data breach incidents including confidential, sensitive, and protected content. These comprise of unauthorized entities who are capable of seeing, accessing and releasing information. Application programs and users interfaces, which are unprotected. These are one of the weakest links in your existing business network. There face is external, which are accessible on the web and hence, an easy target for internet criminals. Absence or insufficient amount of IAM solutions might call hackers to attempt a threat. For example – employees using weak account password, not changing it for a very long time, using it on different websites, and not activating online tenant with MFA option. System vulnerabilities found in the shared technology like CPU caches. With cloud computing technology, one can share their resources with internal or external entities. If these shared data goes in the wrong hand, data exposure is surely possible. Phishing and social engineering comes under the category of account hijacking where internet hackers utilize legitimate tenants to enter into the targeted machines. DDoS (Distributed Denial of Service) attacks prevent legitimate individuals from using online resources. Activate Multifactor Authentication – Now most of the cloud service vendors are providing the option of multi-factor authentication for free, to the licensed buyers. It enables users to enhance the existing security level without expanding any extra finance for this authentication measure. Adopt IAM Solutions in Your Business – Identity and access management solutions enable users to secure their data while making it simple to access their apps or websites without any complications. Interested users can either buy an IAM solution separately or get it as a feature embedded in a cloud workload security solution. Go More Deeper Into Cloud Platform – No matter what but, it is essential to have deep visibility on business cloud. Data visibility and monitoring solution enables businesses to determine that what their employees are doing with firms’ resources and if something irregular is detected, immediately inquiry can be conducted. Enforce End-to-End Data Encryption – Enterprises should make sure that whenever their data is stored on cloud storage platform, it should be encrypted with strong encryption technologies. End-to-End point data encryption should be enforced when data is in rest and transmit mode. How to Implement Cloud Workload Security Solution? Lots of questions might me roaming around in your mind due to which you might be unable to determine that from where to start from. Well, answer to this question is – The best way to implement cloud workload protection technique is to prioritizes your data and develop a roadmap. Here comes the role of CloudCodes solution, which has its own set of protection strategies provided only to its customers in the form of security-as-a-service. Ranging from basic to advanced level of security solutions, CloudCodes suggests its customers with what is essential for them to achieve. These solutions are decided on the basis of requirements that business clients have. Above all, initially, you have to prepare the data priority list and then go with further recommendations!